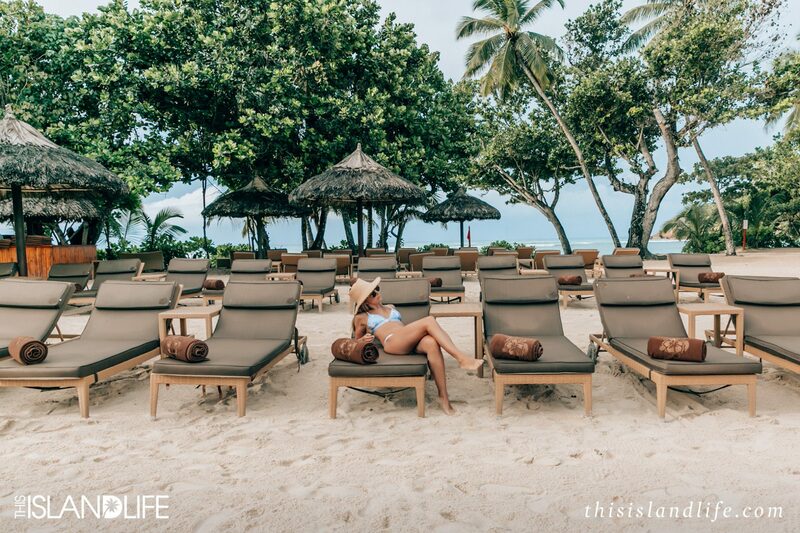 Sponsored by Kempinski Seychelles Resort. 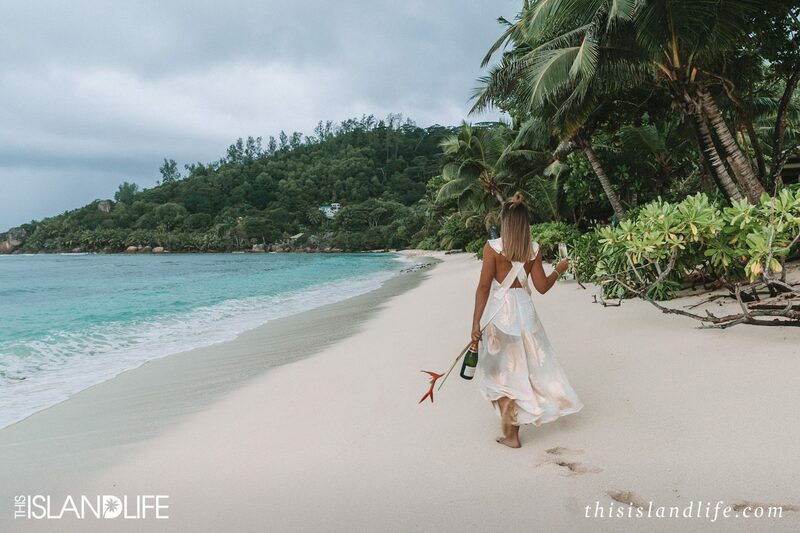 Nestled in between an idyllic private beach and an epic granite mountain on the island of Mahé lies Kempinski Seychelles Resort. 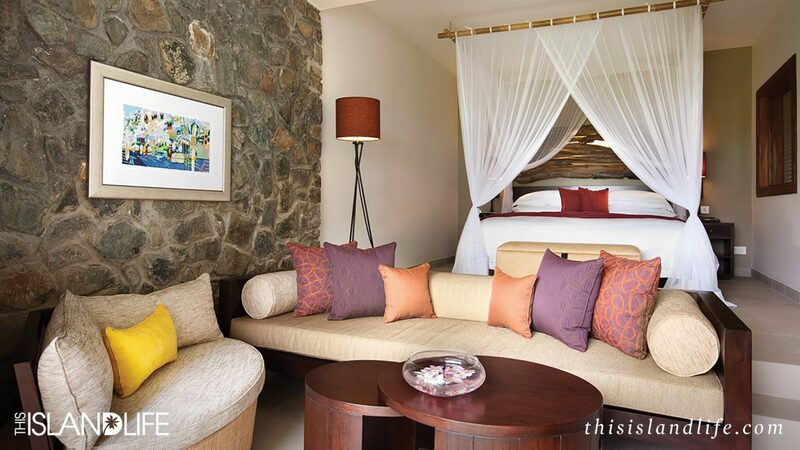 While the entire island is a tropical paradise, Kempinski Resort is positioned in the very best spot. Located on the south end in the exclusive Baie Lazare area, the resort sits on one of the most beautiful beaches on the island. 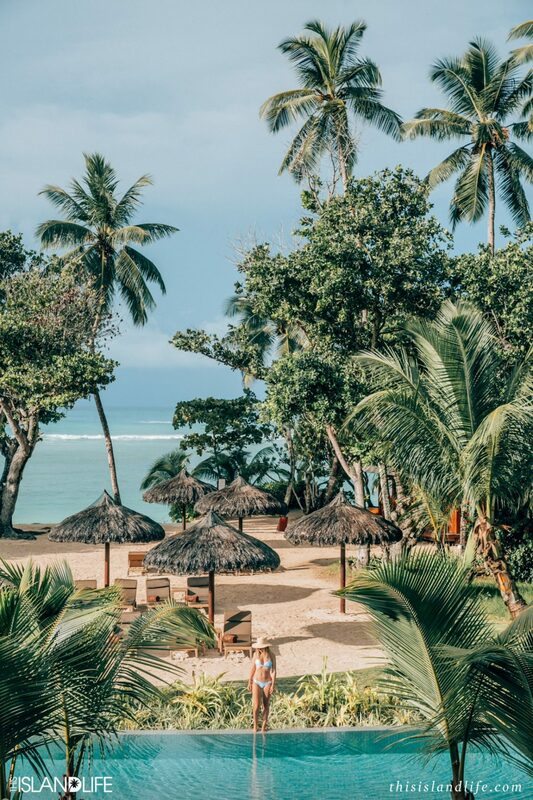 It’s a short 30-minute drive from the international airport, but once you drive through those palm fringed hotel gates, you’ll feel a million miles away from the rest of the world. 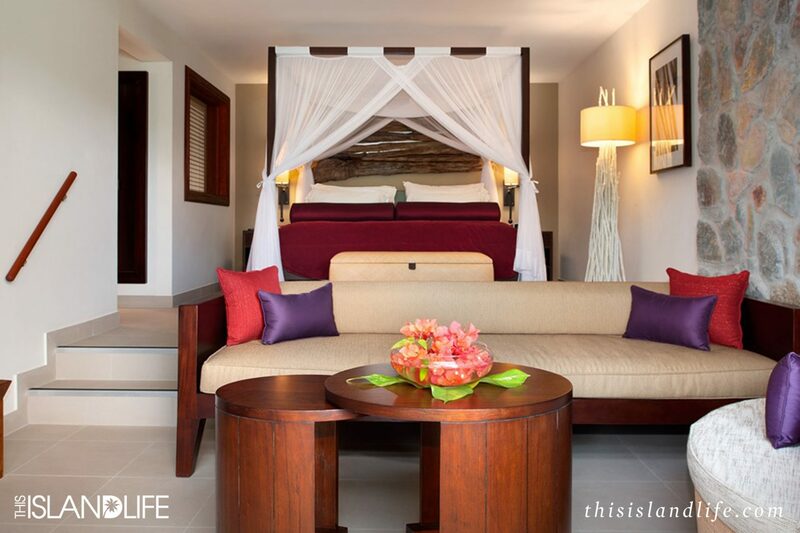 From the moment we checked into this beautiful five-star hotel, we were in tropical heaven. 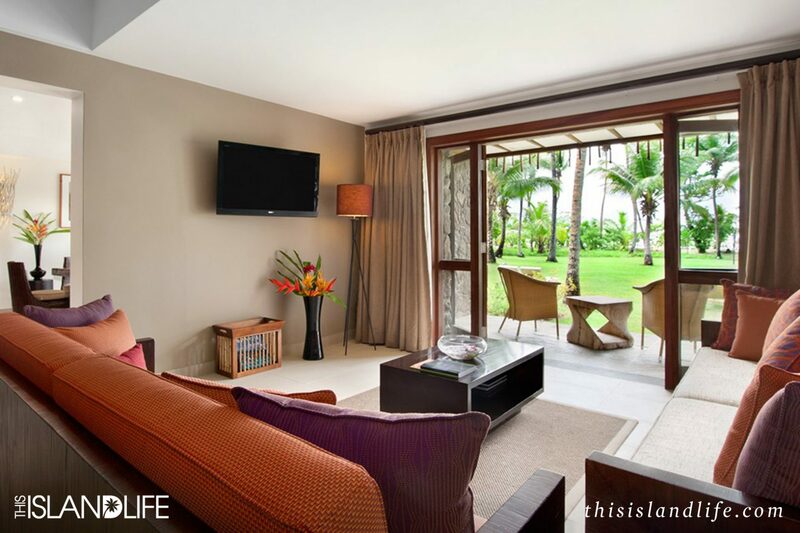 Our Sea View Garden Room was the perfect mix of rustic island life and five-star hotel luxury. 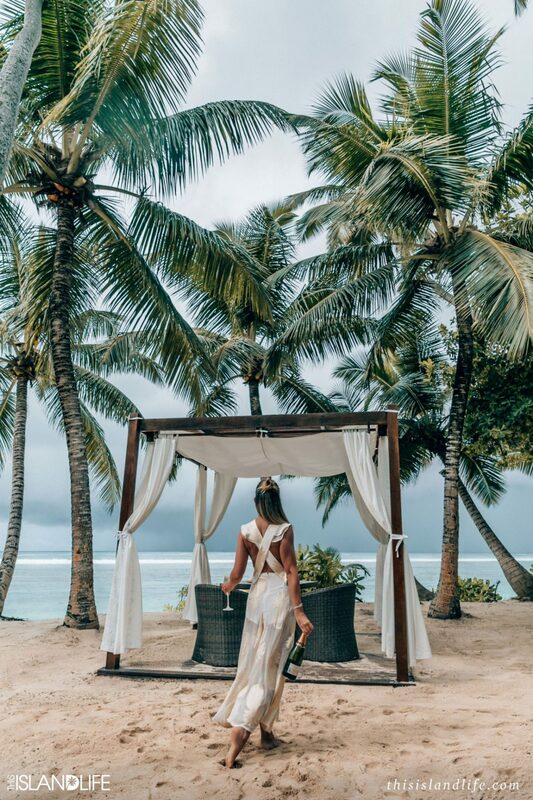 Surrounded by lush tropical gardens with direct views out to the Indian Ocean, our room had a split-level lounge room and bedroom, with a dreamy four poster bed draped in a sheer white mosquito net. 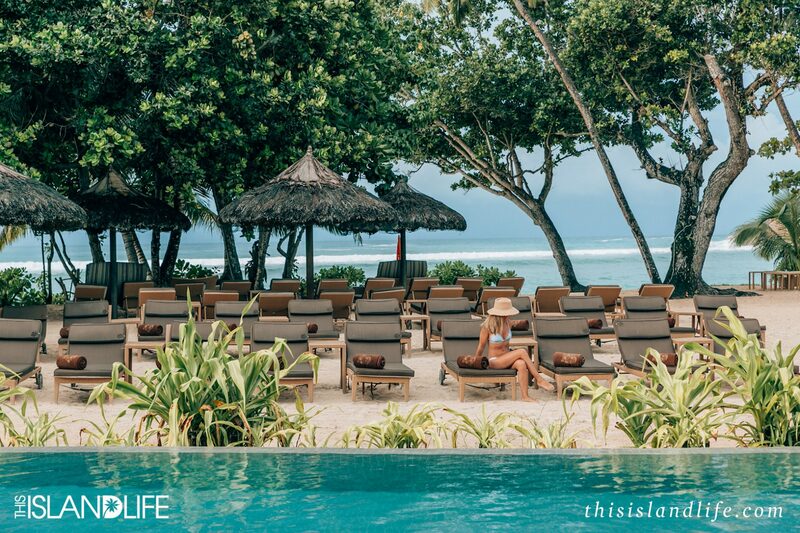 The garden room is all about island life with direct access to the lush tropical gardens and a sun lounging area that’s just waiting for sunset drinks. 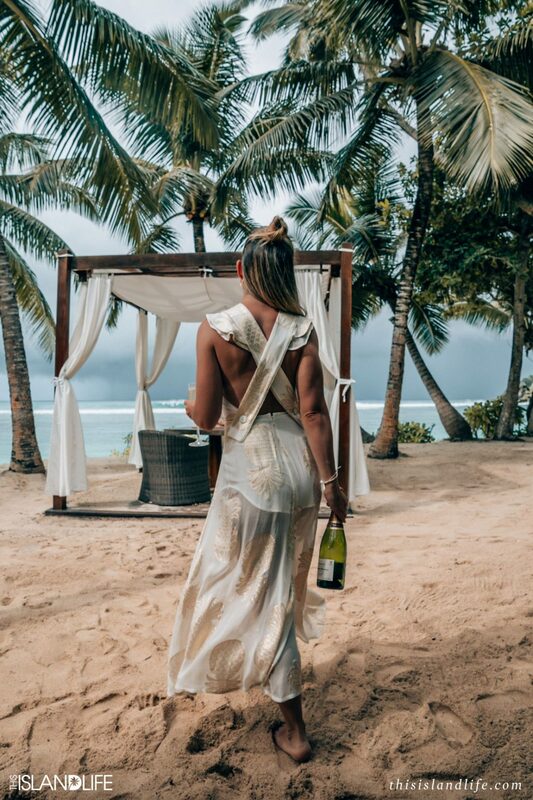 And if you want to follow it up with a romantic walk along the beach, the Sea View Garden Rooms are just 100 meters from beach. The rooms are also close enough to the water’s edge to hear the waves lapping at night as you fall asleep. 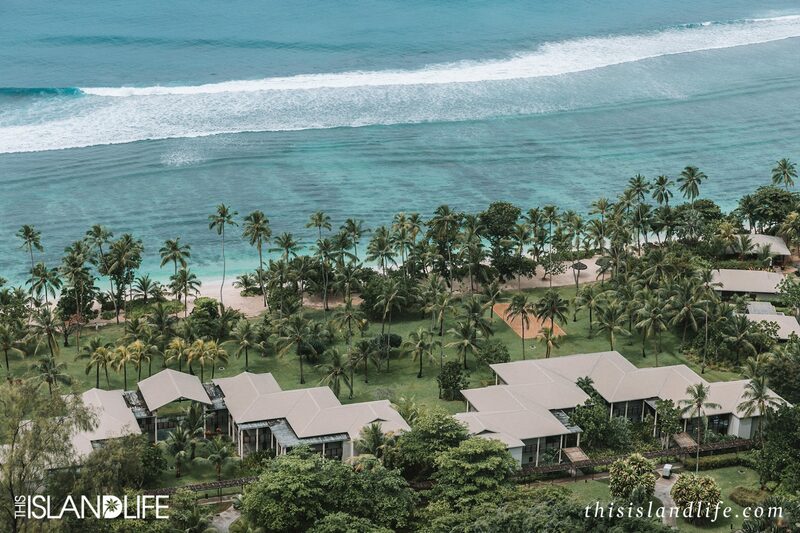 With 800 meters of powdery white sand and a coral reef, this is a resort made for beach lovers. 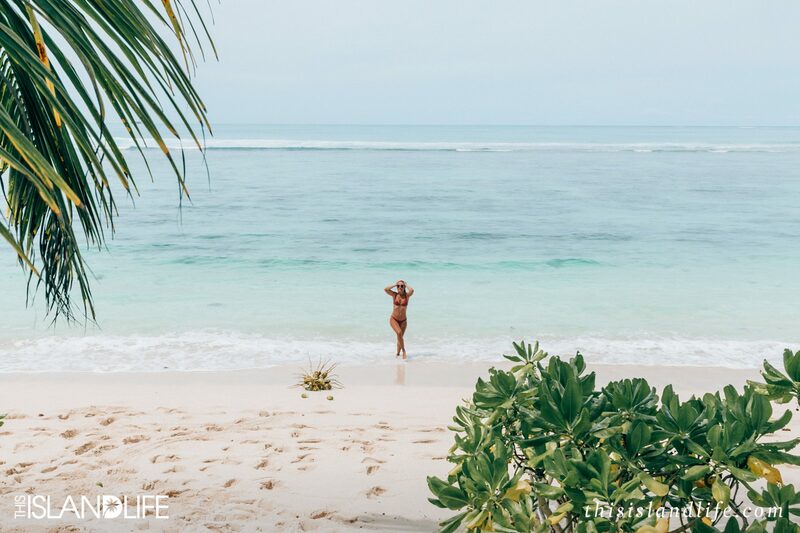 The beach is secluded, which means that guests can frolic in its crystal-clear waters and walk on its squeaky white sand without too many other tourists around. 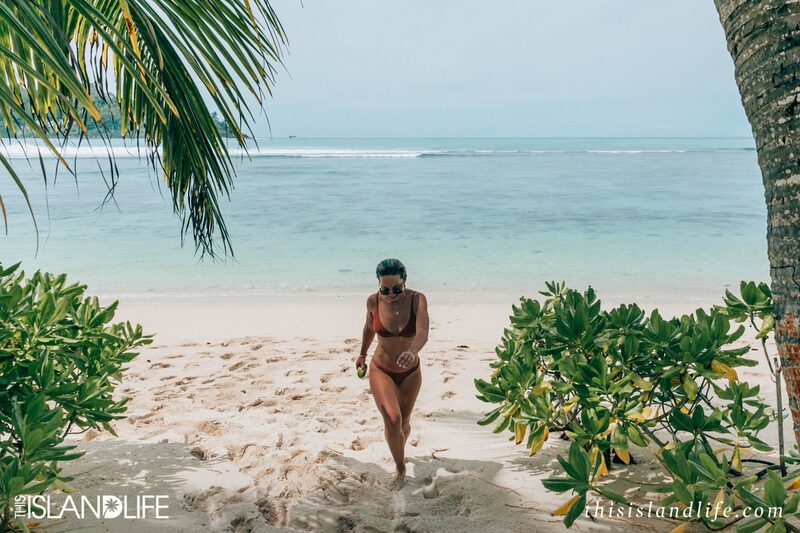 We managed to get in a few solid days of beach and snorkelling time in at Kempinski Seychelles, and even though it was peak season, we hardly saw anyone else on the beach. It’s like being stranded on a deserted beach with luxury on call. 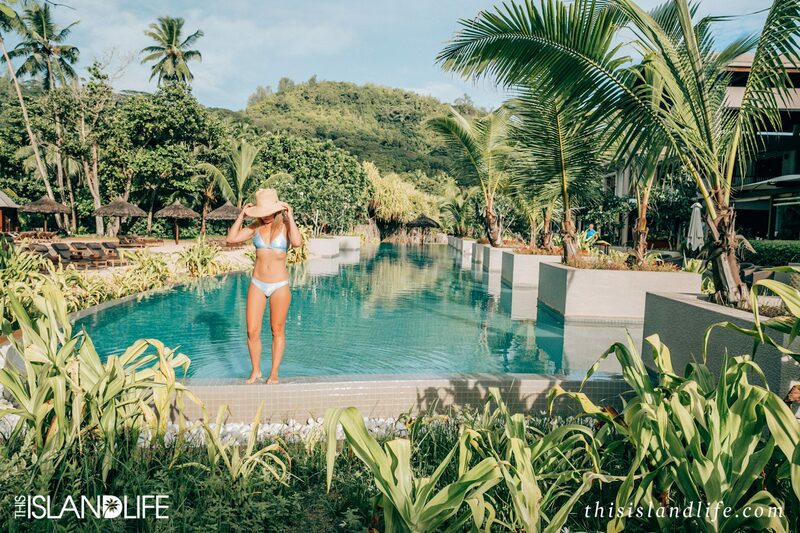 If you’re into other water sports, the resort also offers stand up paddle boarding, surfing and kayaking from a glass-bottom kayak! 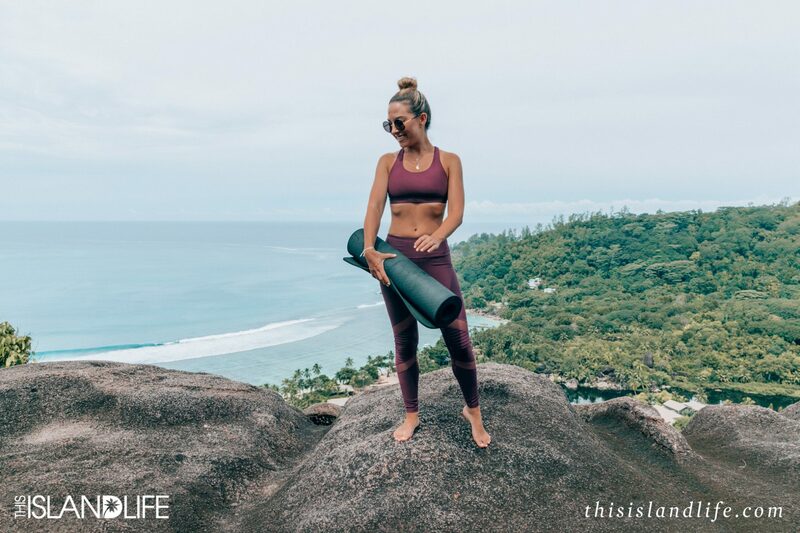 The bay is teaming with marine life, with turtles, reef sharks, eagle rays and even whale sharks making an appearance at Baie Lazare. 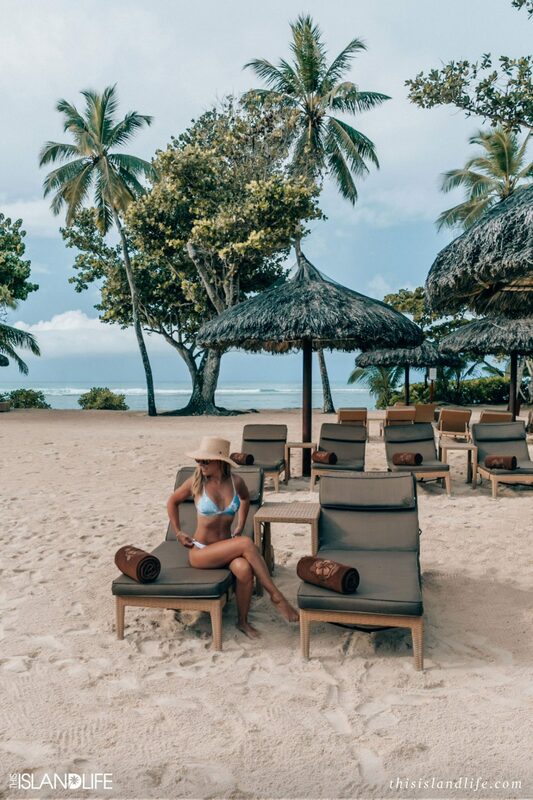 Those of you who follow my blog know that I’m not someone who can just lie around a resort, no matter how beautiful it is. If there’s a beach to explore, I’ll be there for sunrise. And if there’s a mountain to climb, I’ll be hiking to the top to take in the view. 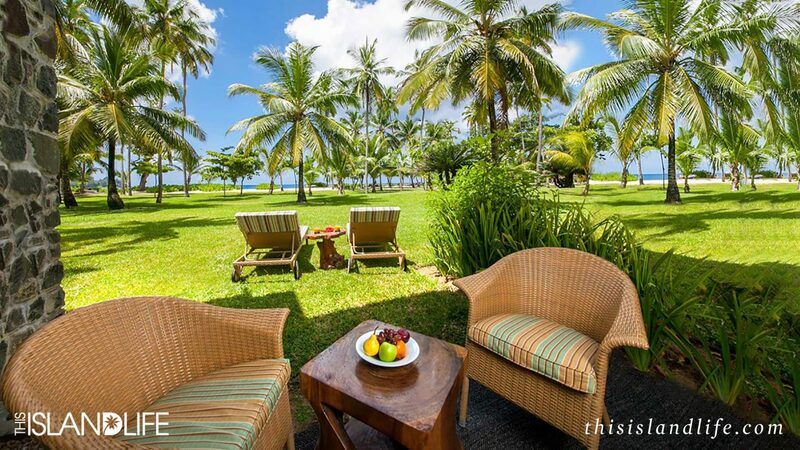 But while I was staying at Kempinski Seychelles, I didn’t leave the resort once. 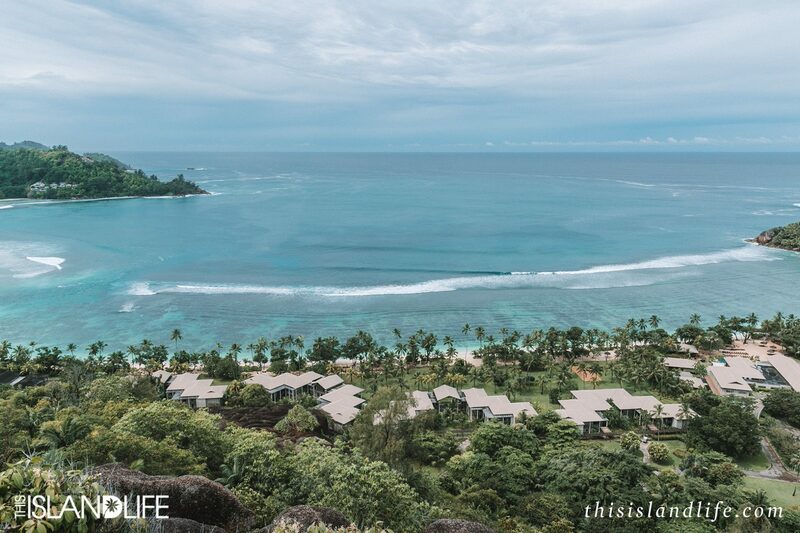 As well as having their own private beach, Kempinski also have their own epic granite mountain! 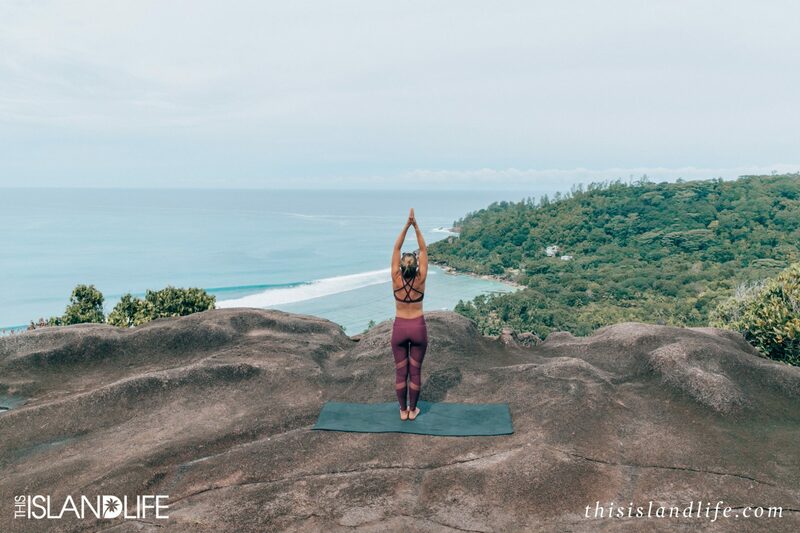 Affectionately named ‘Mount Kempinski’, this huge granite mountain offers spectacular views from the summit out over the sprawling resort, palm fringed beach and Indian Ocean. If you like to lie by the pool sipping on a cocktail doing as little as possible, then you can marvel at this mountain from your sun lounger. 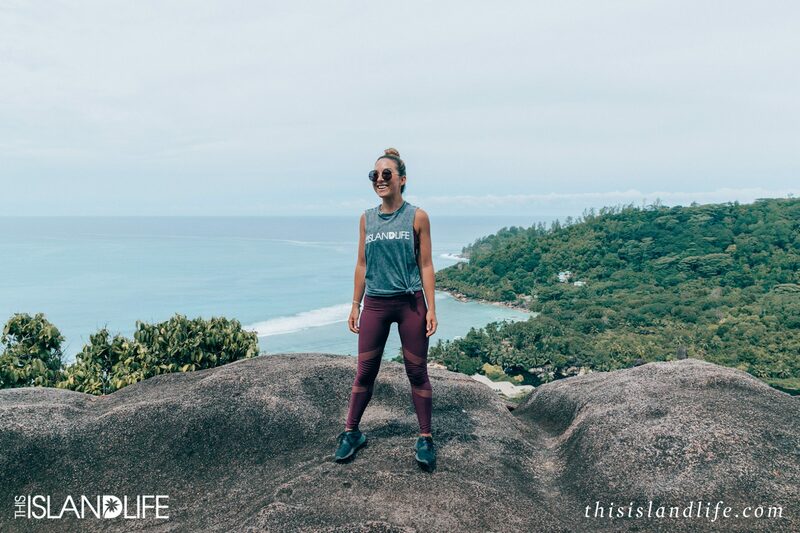 But if you’re like me and literally can’t sit still when you’re somewhere as beautiful as the Seychelles, then this mountain is your playground. 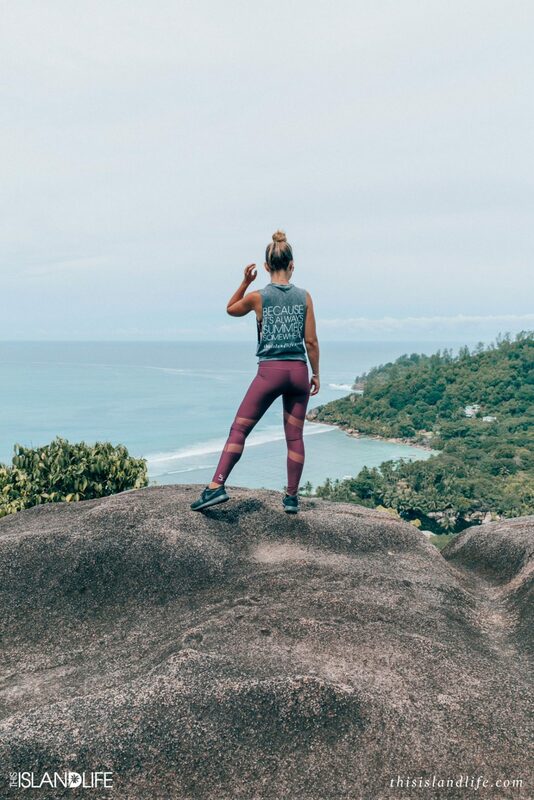 Forget the hotel gym – the walk to the summit takes around 20 minutes and is the perfect warm up to one of the most unforgettable exercise experiences you’ll ever have. 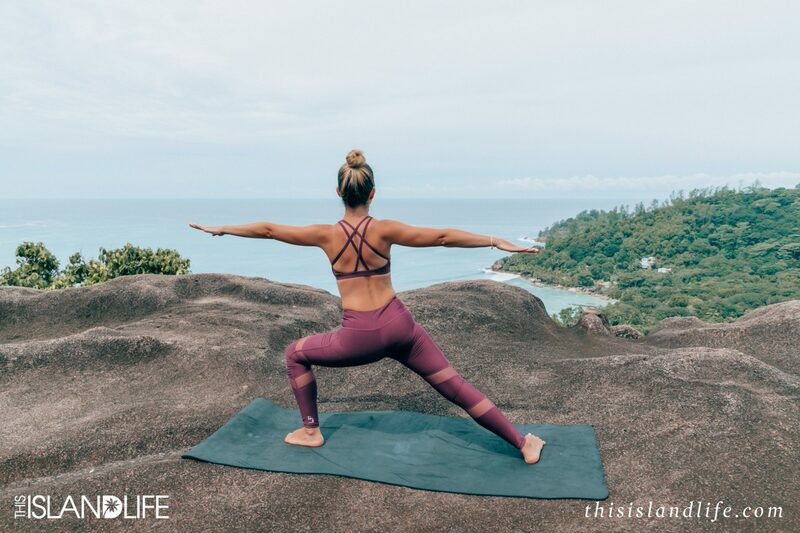 Every morning, the resort organises a hilltop yoga or Pilates class – there’s a flat section of granite at the top of the mountain that makes the perfect platform. 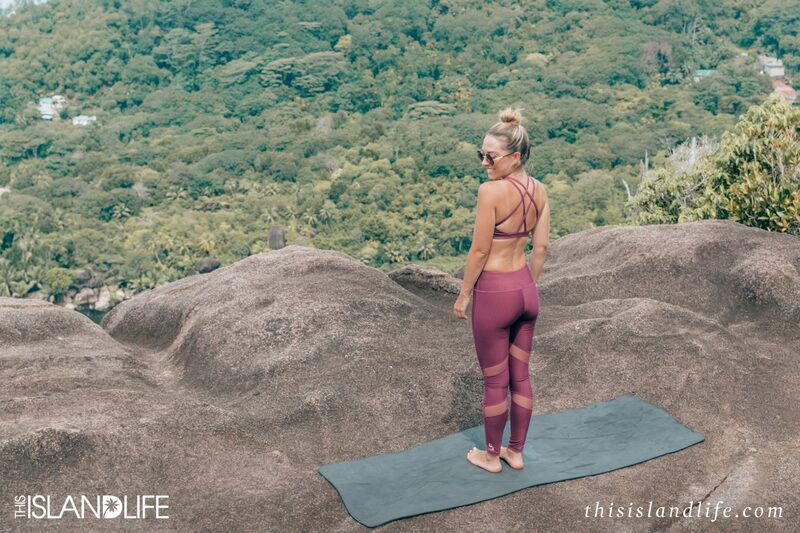 If you’re not into yoga or Pilates, you can opt for a picnic with the best view on the island instead. 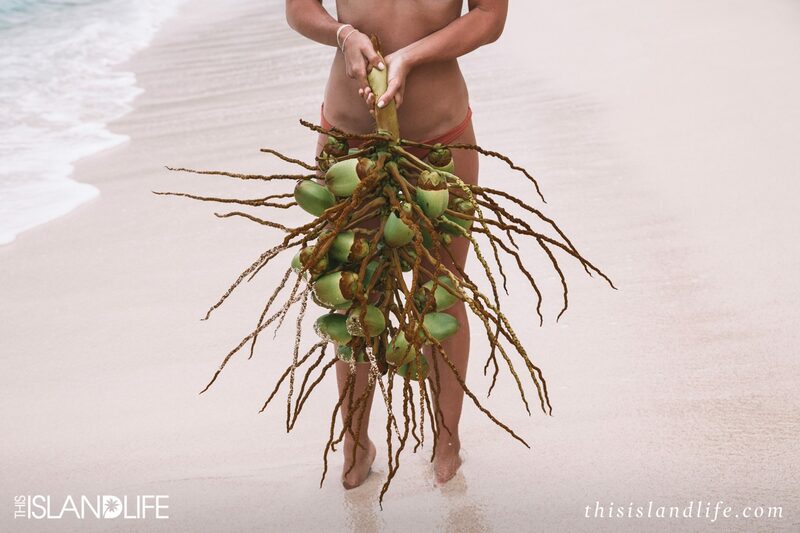 When you’re staying in a luxurious tropical paradise, even bad weather looks good. We were planning on having sunset drinks out by the ocean one afternoon when an epic storm hit. 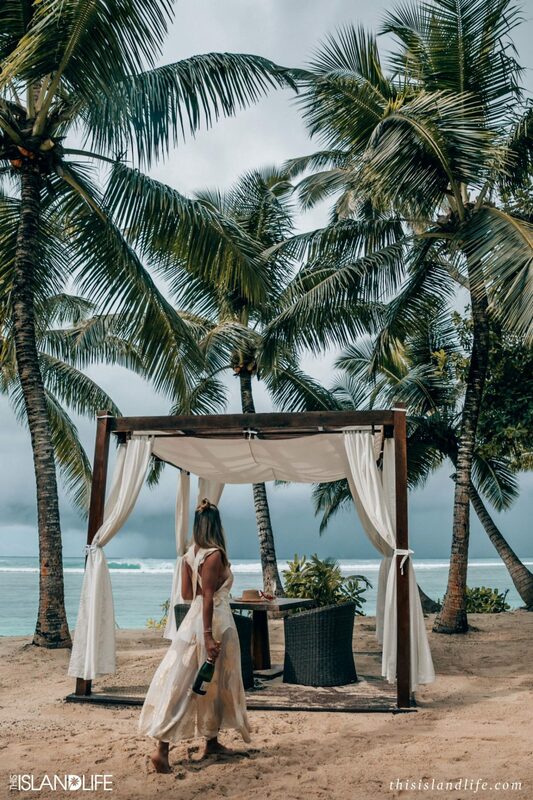 We took shelter under this beautiful cabana while we watched the dramatic storm clouds roll in over the Indian Ocean. 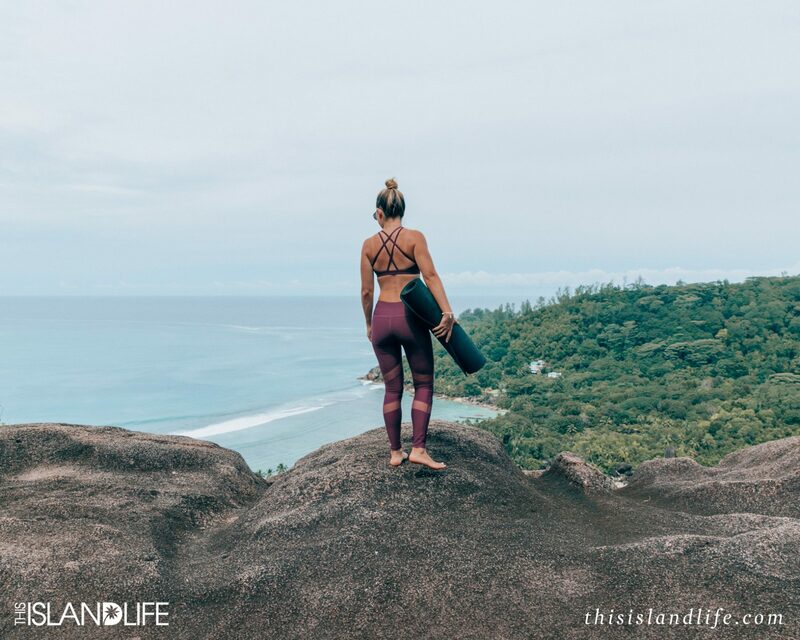 With island life, the weather can be so unpredictable – it can’t be blue skies and sunshine every day, so it’s nice to embrace nature especially when it gets wild. 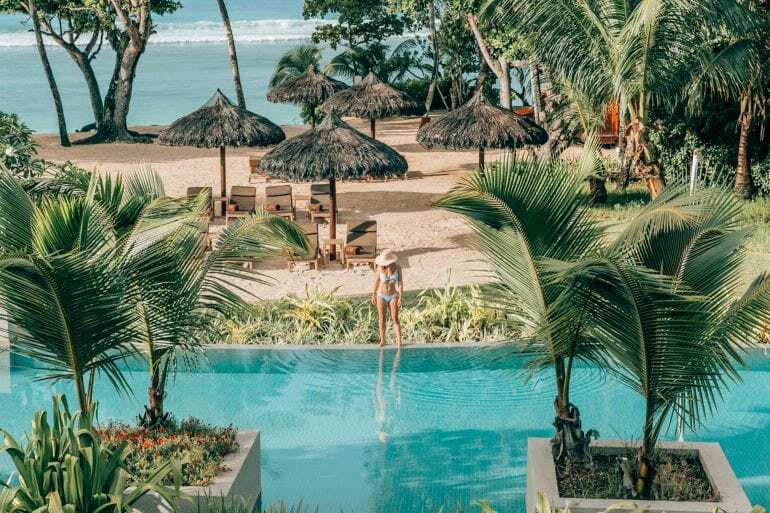 If you need a change of scenery from the private beach, the resort has an incredible Olympic- sized swimming pool surrounded exotic tropical plants. What I love the most about this pool situation is that the sun loungers are on the sand, so you feel like you’re half at the beach, half at the pool. With its close proximity to the buffet, the pool is perfect for when you want to have a quick dip before breakfast. But it’s even more perfect when you want to sip on a piña coladain between swims. 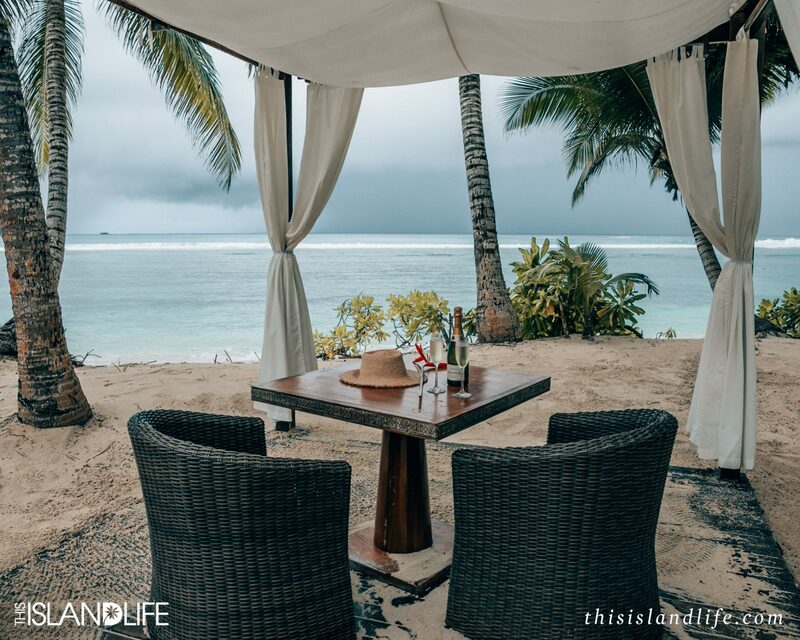 Foodies will be in paradise at Kempinksi with access to four different restaurants including the fine dining L’Indochine restaurant, the more casual Windsong beach bar, the buffet-style Café Lazare, and the chilled-out Planter’s Bar and Lounge. While all the restaurants are delicious, my personal favourite was L’Indochine. 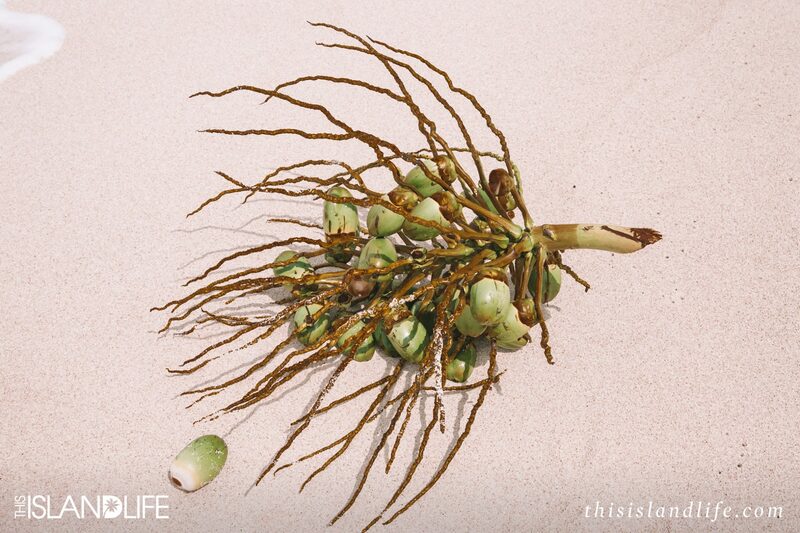 The cuisine is inspired by the Indian Ocean and features local seafood with an Asian fusion twist. 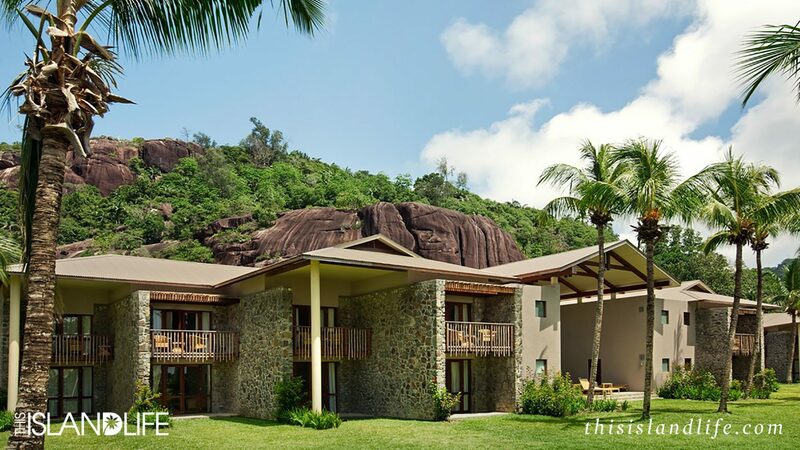 The Kempinski Seychelles Resort is a short 30 minute drive from the international airport, on Mahé – the largest island in the Seychelles. Details here.